The history of space exploration and exploitation has been one dominated by large organizations, and usually with funding and leadership provided by the governments of the first world. Of notable exception are communications satellites, but really, most space missions in orbit around our planet have been publicly funded. For human space flight, this has been exclusively true. That’s beginning to change, and some exciting plans are sprouting for our species future in space. Some emerging plans are led by Decentralized Autonomous Organizations. Essentially, what the DAO architecture provides for space programs is a crowdsourced and crowdfunded way to develop, test, and fly space missions of all kinds, with a mindset that is less corporate and unshackled from legacy profit motives. As such, a Space DAO leaves behind the traditional ways of creating space projects and makes them much more accessible to a "maker" culture. Space Makers will have different interests and specialties, but will align their efforts under a common, overarching mission. Funding decentralized organizations might be easier. DAOs are generally disposed to the use of blockchain technology to maintain financial records and facilitate transactions within the team as efforts progress along the project, enabling direct accountability. A Space DAO will be made up of interested engineers, scientists, and space technologists that work together on a common project. A directly-funded space program can thus be both supported by an interested public and via a self-motivated team. In a decentralized space organization, members choose the direction of the project in terms of the technology itself, the way it is to be used, and when, or a combination of the three. That allows for space programs of very small scope, or enormous intent, along a continuum, based on the abilities and interests of the team. Thus, space projects normally reserved for large, centralized corporations or government agencies can be effectively addressed in self-managing smaller modules of effort which can be added together to address much larger mission goals. Space system development and operation has been traditionally reserved to large entities, mainly as it's a rarefied field and difficult to execute fully, end-to-end, with monolithic effort. When monolithic efforts and relatively exotic developments are combined, the end product usually exhibits a self-driven expansion in cost, as the team chases ways to satisfy requirements. Space DAOs leverage a self-driven methodology too, but in a way that allows for development expansion that's driven by project needs. It turns the older paradigm on its head: Thanks to the advent of blockchain economies and global communication technology, the monoliths become an option, not a necessity. Of course, all of this talk of Space DAOs sounds almost utopian. Honestly, can such approaches work? Some think so, and such efforts are indeed underway. Propulsion technologies, such as used in the European Space Agency (ESA)’s BepiColombo mission to Mercury, are being stretched to new capabilities. In fact, the ESA spacecraft is using the most powerful electrical propulsion systems ever fielded on any exploration mission, and allows for the delivery of two separate dedicated Mercury orbiters in 2025, revolutionizing the level of scrutiny directed at the planet. Enhanced propulsion will allow for a much more impactful and complex Mercury investigation to be pursued than ever before. While ESA is not itself a DAO, the BepiColombo mission is a multinational effort, and rapidly developed itself along the lines of that sort of model. The same propulsion technology used on BepiColombo is now being scaled up massively to address future human missions to Mars, notably as an effort directed by a team from the University of Michigan. Their system, the X3 Thruster, can deliver up to 40 times the power of the systems used for BepiColombo, and is targeted for use in human NASA missions to Mars in the next two decades. While a 20-year period seems to be the perpetual horizon for human Mars missions, it is good to know that there is a concrete effort to develop new, high performance propulsion systems. Big technologies can bring big benefits as we reach out into the solar system and beyond, but smaller technology is pulling its weight and more these days, too. The recent Insight lander mission to Mars is an excellent example. In planning for landing on the Red Planet, the NASA Insight mission team knew that the ability to relay entry, descent, and landing data through another Mars orbiter wasn't going to be available. Enter the MarCO team at NASA's Jet Propulsion Laboratory. Their two-cubesat system launched as part of a shared payload package with the Insight lander, but separated to fly on their own to predetermined locations near Mars to act as the missing communications relay. The ultimate goal for MarCO was, as said by chief engineer Andy Klesh, "being able to support a large craft like Insight, in order for it to perform its fantastic science," as well as showing that smaller, risky missions can make their way into deep space and provide science data. 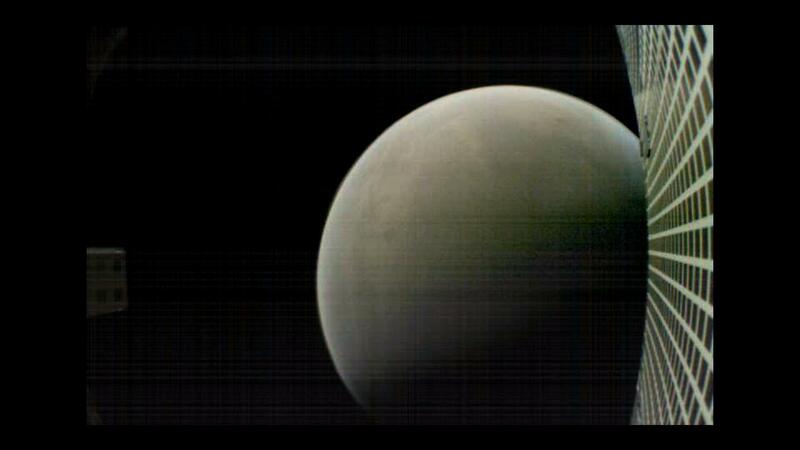 In the latter case, the MarCO satellites took pictures of Mars itself and its moons, and also radio communications between the two cubesats were filtered through Mars' atmosphere to glean more information on its thickness and composition. The MarCO team's success suggests that small, flexible systems and teams could play an important role in future space exploration. Of course, cheaper launch systems are a primary requirement. A major option to bring down crushing launch costs is to pursue reusable launch systems, such as those being developed by Blue Origin and SpaceX. Blue Origin, created by Jeff Bezos, which is initially pursuing space tourism, plans to develop launchers and crewed vehicles of increasing capability. Bezos, though best-known as the creator and CEO of the Amazon online shopping juggernaut, has made great inroads with Blue Origin, and has been indeed successful in reusing his New Shepard vehicle in testing operations. Even more successful has been the SpaceX team, helmed by Elon Musk, the creator of Paypal and Tesla Motors. Musk's vehicles have flown missions for their clients multiple times as of this writing, including orbital missions and cargo missions to the International Space Station. Crewed SpaceX flights to the ISS are also expected. Many of these missions have been completed via the reuse of the expensive launchers that were previously discarded after one launch. And even more is planned for SpaceX hardware, including Mars colonization sorties! Much as the barnstorming pilots and developers of aircraft in the early part of the 20th century paved the way for increased, reliable, and relatively inexpensive aircraft travel, so are companies like Blue Origin and SpaceX finding ways to guarantee access to space. There is undoubtedly a lot of effort, excitement, and finally motion in human spaceflight to Near-Earth Space, the Moon, Mars, the asteroids, the outer solar system bodies, or, more speculatively, beyond the solar system. Major efforts are now being mounted by NASA to return to the Moon, with recent business solicitations sent to nine different private companies to provide lander vehicles to the Lunar surface. This is a major shift in thinking for the agency, and indicates that the value of smaller, more agile space development teams is now apparent. NASA is not the only entity vying for missions to the Moon, and other places, a growing number of non-governmental programs also want to play a role. In particular, a mission named Coral is being developed by a small, worldwide team of engineers and scientists determined to place a payload on the Moon. The author is in massively excited to be a member of this team, and admits a certain happy bias towards its future. One of a number of programs in development under the Space Decentral team, Coral will use In-Situ Resource Utilization (ISRU) technology to produce and structurally test building blocks fabricated from the lunar dust, as an early analog for lunar-indigenous masonry. Essentially, the Coral mission intends to show that one of humanity's most tried-and-true building methods can be adapted for use on the Moon, namely, making bricks. The Coral team plans to leverage existing technologies into their mission planning and hardware engineering, including the use of innovative fabrication techniques to take particular advantage of the lunar environment in terms of energy needs and raw materials. This all means that compact self-contained missions like Coral can support human expansion into space by leveraging a decentralized mode of operation in space development. As discussed at the beginning of this article, this is really the beauty of the Space DAO Paradigm. Large, monolithic efforts are no longer required for space advancement, and incremental efforts - of manageable size and cost - can take us where we want to go, step by step. Smaller, nimbler efforts can provide value to large space programs too, as MarCO did for the NASA Insight team. Cover picture from Wikimedia Commons. As a verifiable space nut, and having been so since I was a small boy, I've been able to cast my net in many different places. We need to go Outbound! China has announced that the Chang'e-4 robotic mission to the Moon was "a complete success." It seems likely that China will lead our expansion into space.